So. What happens is this. Henry IV (John Gielgud) usurps the English throne, sets in motion the factious War of the Roses and now faces a rebellion led by Northumberland scion Hotspur (Norman Rodway). Henry's heir, Prince Hal (Keith Baxter), is a ne'er-do-well carouser who drinks and causes mischief with his low-class friends, especially his rotund father figure, John Falstaff (Orson Welles). To redeem his title, Hal may have to choose between allegiance to his real father and loyalty to his friend. 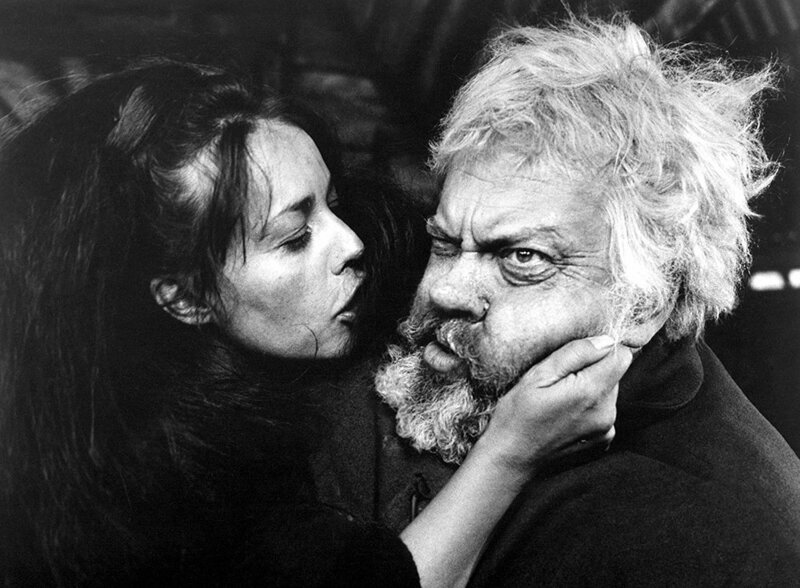 A lover of Shakespeare, Welles adapted Chimes at Midnight from Shakespeare's Henry IV, V, VI and Richard III and fashioned a brilliant comic classic in the process. Cast includes Jean Moreau, Margaret Rutherford and Fernando Rey.